Our friends the pioneering Native Women in the Arts have announced their new Kwe Performance Series, starting with the Inuit Showcase in November, 2016. 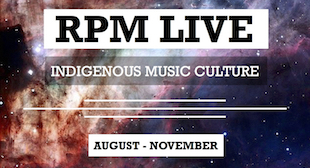 In our fourth episode, RPM looks at New Traditional, beginning with the question: What is it? And how can something be new and traditional at the same time?